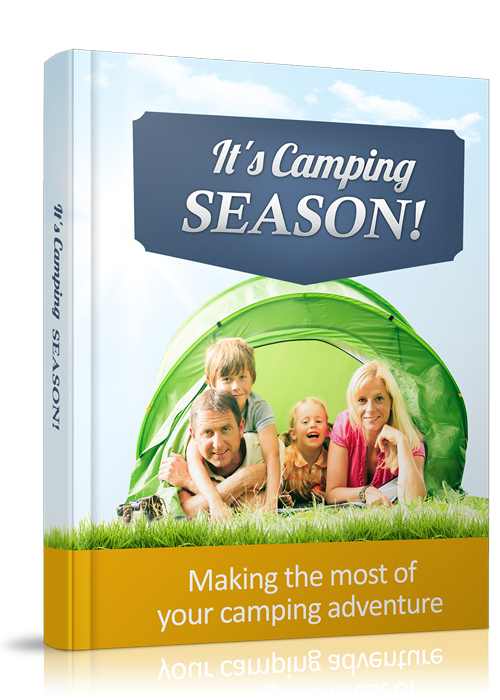 It’s Camping Season – Making the Most of your Camping Adventure is the third installment in our exclusive series of PLR Ebooks coming from the desk of our formidable team and available only to our Platinum members! In this top notch eBook, we cover one of the most popular hobbies in the world. Camping! Did you know that many people actually take flights out of the country during winter to warmer climates in order to satisfy their camping cravings? Single people, groups, and even families have all either experienced the camping phenomenon or desire to at some point. So what is it about camping that everyone loves so much? Suffice to say, it’s the opportunity to explore Mother Nature and live the way human beings lived at one point before civilization made things more cozy. To be outdoors under the stars in a tent is almost an adrenaline rush, especially for the adventurous types. And it’s not because of the rush of living out in the unknown and not knowing what to expect. That would be borderline insane! It’s because getting a little bit out of your comfort zone can be enjoyable experience. Not surprisingly, the popularity of this hobby shows in the statistics with a little online research. Camping is one of the most active keywords on Google during the peak of summer in North America. When kids get off school for a couple of months, they often go to summer camps. And adults seize the opportunity all the same and get to relive their bit of childhood. What’s covered in this guide is ideal for campers of all types. You will learn how to prepare for your camping trip, the essentials to bring, how to stay safe, booking the right spots, and also minimizing mistakes by keeping a tab on the pointers we’ve listed within. This guide was as a matter of fact prepared by one of our talented writers who himself is an avid camper since childhood. So feel safe knowing that you’re getting information from a real deal camper! The most important thing you need to do is have fun. When you’re prepared, your mind is at ease and this guide covers everything you need to know and then some. Enjoy!